My son Bailey, age 14, a freshman in high school, got an text message from a girl who is friends with Bailey’s date for homecoming dance. The girl told him that his date is only going with him because she feels sorry for him. The message went on to say that Bailey shouldn’t think he’s “all that” and not everyone likes him as much as he thinks they do. It didn’t even stop there. It said he must be some sort of loser because he often sits in a group of girls at lunchtime. There was more, but you get my drift. To me, Bailey’s mom, he is a fun-loving, silly sort of kid who loves people of all types and doesn’t have a mean bone in his body. He had forty-five kids at his bar mitzvah last year, all of whom looked like his good friends to the adults watching. He tells me he has friends in the orchestra where he plays violin, and friends on the field where he is currently playing JV football. However, this is my view of him – I have to remember that I have no real idea who he is at school and how he acts there. He’s so generally happy at home that it leads me to believe he’s a fairly well-adjusted teen. Maybe he is a bit cocky at school – or overly dorky – or something else that I don’t even know. It’s not my business to know every detail of his social life. I’m just glad he has a social life for me to ignore. When I was a fourteen-year-old girl, I didn’t have such a bright social life. I was overweight and decidedly uncool with glasses and weird clothes. I used to write letters to various kids at school who would not tease me per se, but would rebuff my efforts to be friends. Here’s the difference: I would leave the letters in stacks on my desk at home and then every so often I’d re-read them and ball them up for trash can. If I wanted to communicate with anyone for real, I had no choice but to do it over the phone or in person. I don’t pretend that kids being mean to one another was invented in this young generation; I just think it’s a lot easier to press the “send” button on a nasty text or email than it was for me to send a pen-and-ink letter. In a way it was harder for my mom and dad to find out what I was up to when the door to my room was closed. There wasn’t a mobile phone on which they could snoop into my texts and emails. There’s a sometimes-blurry line between privacy and needing to monitor the behavior of young people. HOWEVER, the day after this message, I learned that my son wasn’t so innocent in the whole matter. It turns out that though the girl started it by sending a bunch of messages trying to tell him that his date doesn’t like him in “that” way, Bailey got mad at her for saying it, and called her email antics “bitchy” and that’s when she sent him the mean message. Learning about Bailey’s role in the exchange changed my perspective pretty quickly. To my husband and me, this was the perfect opportunity to discuss communication skills in general. As parents of these young teens, we have to take some responsibility for teaching our kids right from wrong. But it goes deeper than that; we have to teach them about the power of their own words, both oral and written. When he first got the message and I thought it was in a vacuum, I counseled Bailey to delete the text, the equivalent of balling up paper into the trash can. It’s gone. But then my husband sat Bailey down and told him that enough was enough. This use of go-betweens and texting was inappropriate at best, hurtful and harmful at worst. His best course of action, we told him, was to talk to the girl he is taking to the dance. He should be as nice to the girl who was texting him as he always was and he should sit exactly where he wanted to at lunch. Then he should open a line of communication with his date, who clearly knew about the conversations. And you know what? He did. Bailey told us that he and both girls decided (over lunch together) to just forget the exchanges ever happened. At the end of the day, I was proud of the way he handled himself, even if he didn’t start off so well. Bailey, my husband and I learned a number of lessons from all of this. We live in a society that over-shares. We have to tell ourselves to “think before you tweet” in our social-media-driven world, and though we have to give him a modicum of privacy, as Bailey’s parents, it behooves us to monitor his communication tools. However, the number one lesson that Bailey learned is the power of direct communication face-to-face with his friends as opposed to listening to third-party opinions, writing emails and pressing the “send” button too quickly. There is no substitute for looking a person in the eye and speaking with him or her. Kids today are learning to hide behind texting, emails and social media (and don’t get me started on the grammar issues inherent therein) so they don’t communicate directly. While I’m sorry it took a lousy experience like this to teach Bailey the lesson, I’m not that sorry it happened. I only hope we all learned something along the way. I have been interviewed by the blogging site ExpatsBlog! You can read the interview and see my opinions on life in Japan HERE. Recently I’ve been connected with other bloggers through Expat blogging sites. These sites are wonderful clearinghouses for bloggers like me, but also for the expats who live abroad and are looking for multiple viewpoints/experiences to guide them on their journeys abroad. One of my favorites is Expats Blog. They have such a breadth of different writers in different countries, all writing about their varied lives in their countries of residence. It’s so helpful for me to read the pieces and get a feel for how other bloggers relate to their audiences. Author and friend Trisha Wooldridge from Massachusetts has a new book coming out before the end of this year and I am privileged to help her reveal pieces of the cover of her book – scavenger hunt style! The book is a wonderful story of mystery and kids – and wisdom and maturity. My blog here is but one of the places you need to go to find pieces of the cover, put together the puzzle – a poem – and WIN! Please go to Trish’s blog for details of the contest – more about the story and how to win fun prizes! This is but one piece of the cover and puzzle – a special piece as you can read below. My friend Aimee Weinstein was one of my first beta readers for The Kelpie, and she gave me a lot of great feedback. We’ve been friends for some years since we shared an online tutoring job, and I adore her blog posts about modern culture and anthropology as she discusses being an American ex-pat over in Tokyo. Because she does so much with culture, I wanted to give her the MacArthur Tartan to display on her blog. Also, I stole Aimee’s name and spelling for Heather’s mom. I chose Clan Arthur from Scotland because there actually happens to be a lovely hole in the clan history over in Scotland that I could squeeze my family into, giving them a long-forgotten castle with a mysterious past. The MacArthur Clan also has a lot of American history; I found more on that than about those left in Scotland. This also fits because Heather’s family is a mix of American and Scottish. 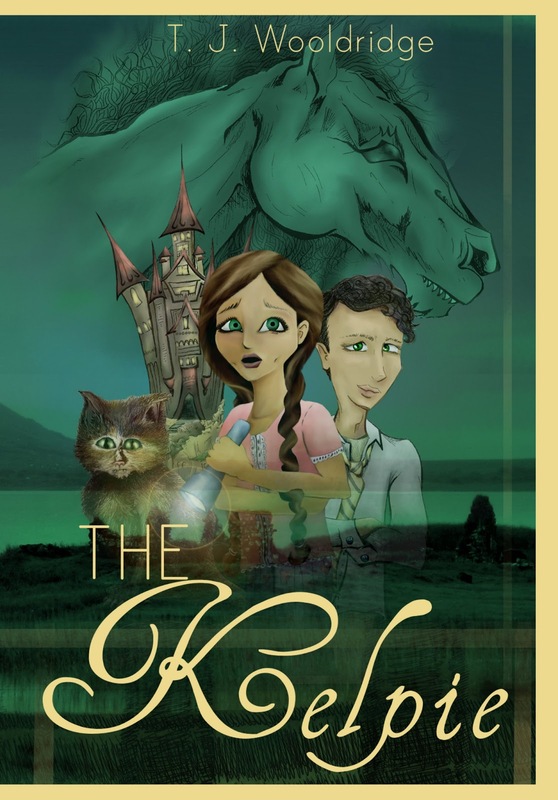 Thank you very much, Aimee, for being part of my Scavenger Hunt and the journey of The Kelpie! 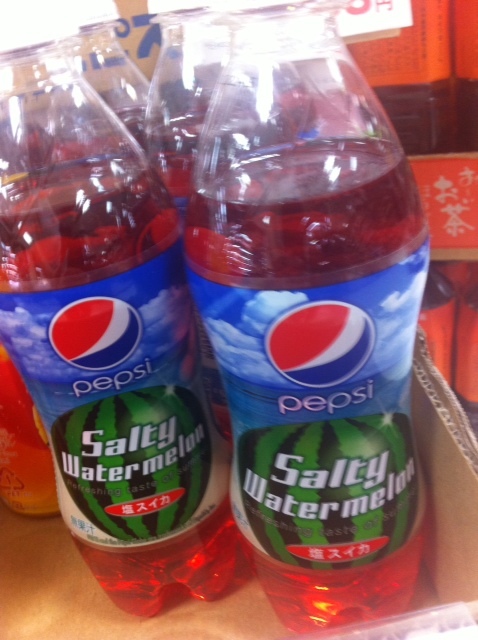 Every summer, Pepsi comes out with a new flavor in Japan. This summer it was, as you can see here, salty watermelon flavor. It’s a limited engagement type of thing – it only lasts from late June through August, and then it is gone from the shelves. A follower of mine on Twitter, @TheTokyoFiles, (See his blog at The Tokyo Files) tells me that it tasted like mild pickle juice. I am not sure that’s such a ringing endorsement, but it is descriptive. Most often these summer sodas have less carbonation than other sodas in order to enhance the flavor. I’m sure it was an interesting, if not fully enjoyable, experience. I can’t wait til next year to see what the Pepsi company will come out with next! Everyone has a smart phone in this crazy world. We have apps, texting, and access to email all day, every day. Some might even call it 24/7 access to communication tools. However, to me, it seems that the smarter we get with these phones, the less we seem to communicate. Now before you go calling me a technophobe or a Luddite, or anything else, please note that I have a smart phone and I use it mightily. In fact, I love it. I rely on it so much that it’s always at my hip. I know my students love that I can be reached all the time, and my kids find it handy also. My husband loves to text me to tell me that he’s going to be late coming home from work because then he doesn’t get immediate feedback from me and I have time to consider my words before replying. A phone call does not allow that type of consideration. 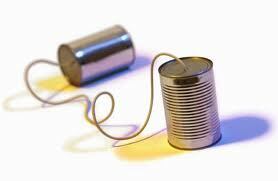 What gets us in trouble is when we use these types of tools to replace voice communication. My son, age 12, prefers to text or email a friend to ask him to come over to hang out rather than to call and arrange the date. I was talking with a friend last week, and she told me that her nearly-13-year-old daughter was having some trouble with some girls at school – the typical adolescent friendship triangle where both of the other two girls didn’t want my friend’s daughter to be friends with the other girl. My friend’s daughter felt like she couldn’t talk to the girls at school – there wasn’t time in the day. So my friend suggested that her daughter call each girl. That was rejected as too scary. What my friend’s daughter ended up doing was sending a tentative text to test the waters of the girls’ feelings. My friend was upset – how could she teach her child to communicate when there were so many methods available to avoid full-on communication? She did not understand how the three girls could resolve their differences via text message. And as of yet, they haven’t. They are all practicing studious avoidance – and it’s causing more problems. Some of this is typical adolescence, but some of it is exacerbated by technology as well. I see it in my students all the time. They sit next to each other and send text messages to each other. In class their phones are on silent but I hear a distinct “hummn” of a vibrated incoming message every few minutes from someone’s pocket or backpack. My sister-in-law said that a few years ago, she was in the habit of driving carpools for her kids to various activities, and all of a sudden, she realized she had a car-full of six kids from ages 14-16 who were completely silent. All of them were looking down studiously at their phones and texting. No one spoke. I read a facebook status a few weeks ago: “It is imperative when driving that one person in the car stop texting to watch for the light to turn green.” They’re not texting and driving, technically, right? I am certain that more than 100 years ago when the telephone became ubiquitous that people lamented the lack of face-to-face visits which were being replaced by phone conversations. We had the same crisis-like posts when email came on the scene in full-force, too. This is the same concept. I guess as long as some type of communication is happening and kids are not sitting alone in their houses all the time doing it, we’re still in somewhat good shape. There is a lot about which to worry in these scenarios, though. Voice communication is going down, as is face-to-face communication. Texting language, in all of its glorious brevity, is appearing in more and more written communication inappropriately. What does this mean for kids now? Well, I think it means more assiduous attention to detail and teaching communication skills. There are times when texting is fine – confirming a meeting time, sending a brief comment. But there are times when a phone call is better – ironing out a problem, expressing love. And importantly, sometimes only a visit will suffice – to a grieving friend or family member. As I tell my students, it’s important to “know your rhetorical situation.” Check your audience and then act appropriately. Do not use texting language when communicating with your professor. Conversely, do not use long words when texting. All of these methods of communicating could lead to MORE communication between people if it’s all used appropriately. It is up to us, as the teachers and parents of the young people, to teach kids the appropriate ways to do it. Are you up for that challenge? I am. I grew up in a little town called Bethany in Connecticut. It’s so small that they’ve only had their own zip code for about fifteen years, and there’s a regional system for the middle and high schools. It was a great place to grow up – and it’s still a great place according to my college friend, Jack Nork, who lives there now with his family. I love reading Jack’s posts on Twitter because it astounds me that little Bethany has a robotics club at the elementary school. Or that all classrooms have computers. Modern! Bethany is modern! At the regional high school, Amity, every year they have a show called POPS. It’s pretty much a variety show – akin to a cabaret. They had it when I was a student there, and the tradition continues. It’s an honor to be in the POPS concert, and it’s even more of an honor to host it. Here’s where the social media part comes in. A few hours before the concert, my friend Jack, whose wife teaches at the high school, posted that he was excited to attend the concert. He used the hashtag #POPS. Apparently the concert was trending. I replied on Twitter (where my handle is @TokyoWriter, btw) that I was jealous – I miss POPS. I remembered to use the hashtag. Jack replied, using the hashtag, about POPS even having a following in Japan. That’s where it got silly. Apparently, there was a running topic list behind the announcers of POPS – anytime the hashtag would be used, it would live-scroll. Throughout the concert. Every now and then, the announcers would read out the more interesting tweets. Well, they read out my tweet, according to Jack! He tweeted me later telling me that I had been IN the POPS concert, technically. For the second time – since my best friend Betsy and I sang “My Guy” with a really cute little dance and matching outfits our senior year. So there you have it – the power of social media. Someone in Japan watching a hashtag via a friend from college who now lives in her little hometown participates in a concert at a regional high school. It’s a tiny little world. On Twitter, I follow a few luxury travel “tweeple” – those involved in the industry, I mean. (Not that I take luxurious trips, but a girl can dream!) On Saturday I saw a Tweet from one woman who was Re-Tweeting a man in New York’s tweet. (For those of you who don’t know what I mean, on Twitter, the art of the Tweet is in the re-tweet – putting someone else’s status out there to elevate yours.) Twitter is like Facebook, but just status updates, all in 140 characters or less. It’s much more dialectic than Facebook, also – you can converse with others via various statuses. It’s expected, and it works well. I checked a few profiles, and the original guy who sent the tweet out there into the “Twitterverse” has 6182 followers – that’s more than six thousand people who have access to what this guy is saying. I think I’m pretty cool at more than 400, but I am nothing in comparison. But get this: the woman who re-tweeted his info has 16,859 followers. Holy Moly! Now there are sixteen thousand more people who know that the Mariott Marquis has an insect issue. Are you getting the drift here? We don’t know how many more people besides that one re-tweeted the initial tweet. Maybe a bunch of the woman’s 16,000 followers re-re-tweeted it. We’ll never know the far reaches of the lore of the infestation. After seeing that, who is going to go to the Marriott Marquis this weekend? I think the Sheraton a few blocks uptown will have a few extra guests until the potential hype wears off. It’s hype created by a small reality, but it’s pretty small nonetheless. I am not faulting the tweet, or the tweet-er. He was reporting the truth. What I’m doing is marveling over the potential power of one tweet. This is the true use and intention of social media: power to the people. Now let’s all get out there and use our power for good.